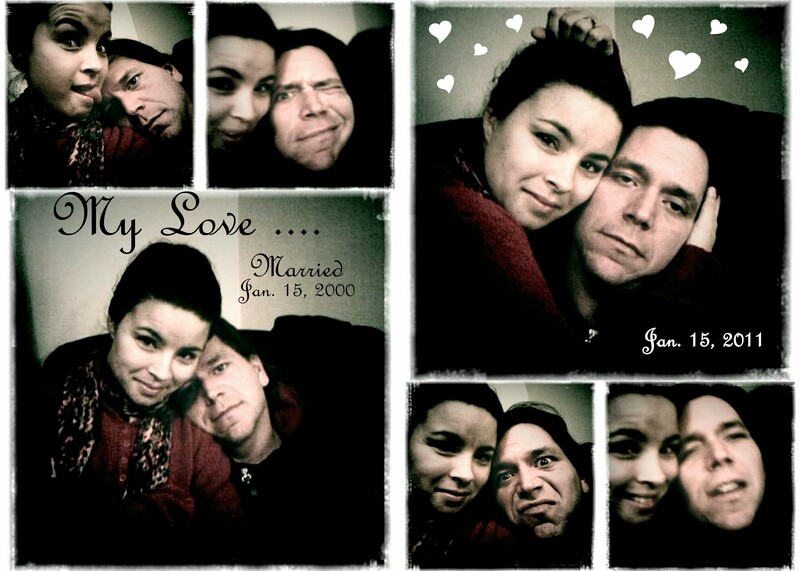 We have been married 11 years now. We have been together for almost 14 years. …an infection that put me in the hospital for a week. …a flood that removed us from our home for 4 months. and we are still rebuilding our home…. We are still not in our own bedroom :0/…. Every place we have ever lived together has been torn down except HERE. But we always loved and strived to continue on… I do not regret marrying this man. He is consistant, dependable, faithful, loyal, responsible, and gracious…. Thank you Lord for all the ups and downs…..
for through them all I have come to know this man LOVES ME!